Article - Are We Supposed To Negotiate On Projects? "Operation Husky", the Allied invasion of Sicily started on July 9th, 1943. It was a large-scale amphibious and airborne operation, followed by six weeks of land combat. The Anglo-Canadian forces landed on the east cost of the island and had a seemingly simple task in front of them. The resistance was known to be poorly equipped with weapons and ammunition; in some cases their positions were defended by captured Russian artillery that nobody could operate because the Italian army forgot to translate the operating manuals. And yet, despite all of the planning shortcomings, the Italians fought well and it took English and Canadian forces five weeks and thousands of casualties to reach their objective - the town of Messina. American troops, on the other hand, had a much tougher challenge: the occupation of the mountainous centre and western half of the island. 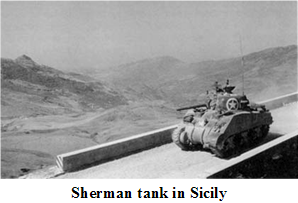 Nevertheless, the American Seventh Army was able to reach the north coast of Sicily in only seven days and with hardly a shot fired. What allowed the US troops to accomplish "the fastest blitzkrieg in history", as General Patton once described this campaign? 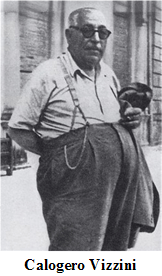 According to some historians, the American government managed to strike a deal with the most powerful man on the island, the capo di tutti capi of the Sicilian mafia - Don Calogero Vizzini. The US Office of Strategic Services (OSS) - the wartime predecessor of the Central Intelligence Agency (CIA) - recruited Charles "Lucky" Luciano to act as an intermediary between the advancing US Army and "La Cosa Nostra". As a result of these negotiations the mafia protected the roads from snipers, arranged enthusiastic welcomes for the advancing troops, encouraged mass desertions from the Italian army and provided guides through the confusing mountain terrain. The "Questions and Answers" portion of my Vancouver Board of Trade keynote on project portfolio management. Very interesting and thoughtful comments and inquiries from the participants. In the modern business landscape where lean resources are the norm, are your teams optimized to deliver exceptional project results? This presentation will focus on the key question facing executives and project managers alike: "what does it take to deliver great projects and/or products? 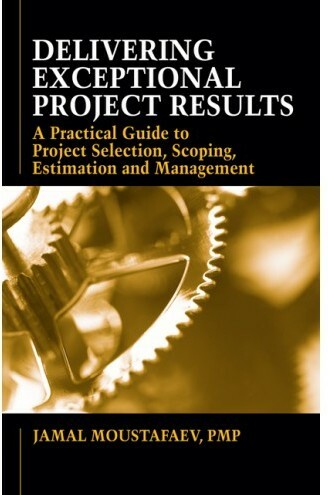 My first book "Delivering Exceptional Project Results: A Practical Guide to Project Selection, Scoping, Estimation and Management" was released by J. Ross Publishing in September 2010! 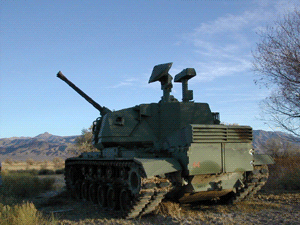 In essence it was an air defense weapon mounted on the surplus M48 Patton tank chassis, provided by the Army, which were held in large quantities in their depots. The main job of the weapon was to sit on the front lines and automatically target and shoot down enemy aircraft, especially helicopters. As a result it was designed to hone in on metal parts rotating in the air (i.e. propeller blades). The final test of the AA gun involved a demonstration involving a prototype weapon shooting down a hovering helicopter on one of the US DOD proving grounds somewhere in the desert in the southern part of the United States. The cost of the project at that time was approximately US $1 billion. You probably managed to guess the rest – the billion dollar piece of equipment “decided” to ignore the much larger target – the helicopter – and targeted the unique signature of the “port-a-potty’s” electric fan! Article - Who Needs Walkthroughs, Inspections and Peer Reviews? asked his permission to speak. The sailor told Sir Shovell that he was keeping track of their position by using his own navigational equipment. He also informed the admiral that the officers were badly mistaken and that the fleet was much closer to English shores than they anticipated. Therefore, according to the sailor it was very dangerous to proceed to England at full speed since they were in danger of wrecking on the Scilly Isles. 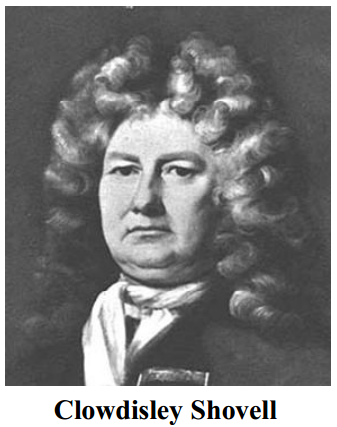 Sir Shovell ordered the man …hanged as a mutineer. Hours later, his flagship and three other boats of his fleet smashed into the rocks. He was swept ashore where, according to one of the legends, he was murdered by a woman who wanted his emerald ring.